An 8 hour comprehensive, science based review of the core subjects in Regenerative Medicine provided in a convenient live webinar format. Earn up to 8.0 hours of AMA PRA Category | CME Credits. 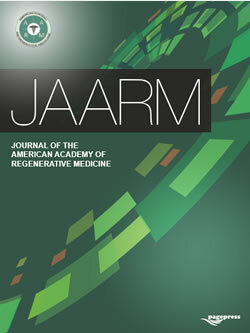 The American Academy of Regenerative Medicine (AARM) and the American Board of Regenerative Medicine (ABRM) are the leaders in setting standards and promoting excellence in the field of Regenerative Medicine, related education, research, publication and certification. Search our extensive Member Directory to find a Member near you. Join the AARM today! As a member you have access to experts in the field, education and certification opportunities.